I’ve been looking for the best iced coffee recipe. And, I made it myself. Let me tell you how to make white chocolate iced coffee at home. You don’t need an expensive espresso machine. You don’t need a coffee maker. I’ve been using bottled cold brew coffee and medium-roast iced coffee. You can find a variety of brands, but I’ve been using the Starbucks brand. And, it tastes amazing. I grab a 24-ounce glass, fill it with ice cubes. And, then I add either sugar-free caramel syrup or sugar-free raspberry syrup. I like to thoroughly blend powdered ingredients, so they don’t taste grainy. So, I throw in milk, bottled cold brew coffee, and white chocolate powder in the blender on low for about 20 seconds. Then, I pour the coffee mixture over the ice and syrup. Sometimes, I stir the syrup and coffee mixture and make pretty pink swirls. Sometimes, I drizzle Ghirardelli white chocolate flavored syrup over the top. I tested mixing the ingredients using a spoon, and it tastes, just fine. And, you don’t need to add syrup. It tastes amazing with only three ingredients – almond milk, cold brew coffee, and white chocolate powder. Most of the Torani syrups are gluten-free. I recommend using the sugar-free versions to reduce the sugar content. You can check out Torani’s website, and review the allergens for each syrup. You can still taste the Ghirardelli white chocolate with the syrup. And, I recommend the sugar-free caramel or sugar-free raspberry. They both pair well with white chocolate. Do you know what else I’ve been trying to change? I’ve been trying to find a replacement for my iced caramel macchiato from Starbucks. It’s so addicting but high in sugar. THIS white chocolate iced coffee has half the sugar, and I don’t need to leave the house. I hope you make this white chocolate iced coffee at home. I’ll be waiting for your comments. Fill a 24-ounce glass with ice cubes. Add syrup, if using. Mix or blend milk, coffee, and flavored powder together in a blender or glass until thoroughly combined, about 20 seconds. Pour over syrup. Serve immediately. If you loved this iced coffee, check out the gluten-free recipes page for more drink recipes. And, check out these posts. Don’t forget to follow Chew This Up on Pinterest, and check out this drink board. I really appreciate the you recommend the sugar free syrups! 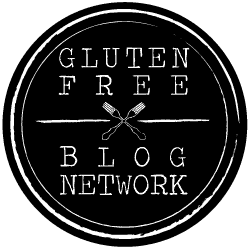 It seems like way too many gluten free products have added sugars so it’s nice to see someone promoting gluten free items that also don’t have lots of added sugar! Yes, definitely. I’m working on a new optin with anti-inflammatory drinks which will be low in sugar. Come back and check it out!